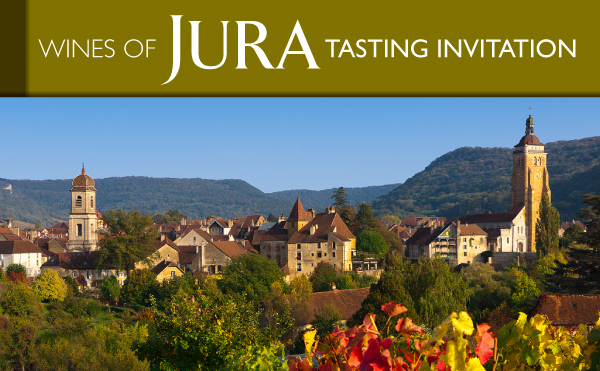 The Comité Interprofessional des Vins du Jura (CIVJ) – the official regional body representing the Jura wine producers is staging its first trade tasting in London on Tuesday May 14th 2013. This is strictly for attendance only by those working in the wine trade and media. I shall be presenting a masterclass at 10.30am and again at 3pm lasting around 45 minutes, during which I will present the region and share seven wines. I hope to pack in as much interesting information as time allows. Note that spaces must be reserved in advance and are very limited. NOTE THAT THE FOLLOWING, ALONG WITH EVERYTHING ON THIS SITE REFLECTS MY PERSONAL VIEWPOINT, NOT THAT OF THE CIVJ OR ANYONE ELSE IN JURA! The 27 producers coming to London are each showing just six wines of their range. The are from across the region, some with importers (usually not exclusive), some without, and they range from very small to some of the largest in size. In a bid to be fair to all, but also to help you, my readers, I have listed them all below in the order they will be at the tasting. I have also attempted to sum up each one in a very few words that are entirely personal (NOT the introduction each producer has in the catalogue). For each producer I have selected one wine from the six wines they will be showing that you should taste if you only have time to taste one. In doing this I am also attempting to include almost all the myriad of Jura wine styles. Producers marked * have some wines imported into the UK already, but not necessarily with an exclusive importer. Producers marked ** have organic certification or are in conversion. In brackets after the name of the producer is the name of the person who will be attending the tasting. You will find links to their websites if they have them on my main wine producer links on the right of the page. FOOD: Franche-Comté regional food including Comté cheese and sausages will be provided by Borough Market’s The French Comté.